French rap icons PNL will release new album 'Deux Frères' later in the year. The project's second album 'Dans La Legende' was an astonishing success in their homeland, becoming the first French independent release to reach diamond status. New LP 'Deux Frères' will drop later in the year, with PNL sharing blistering lead cut 'Au DD'. 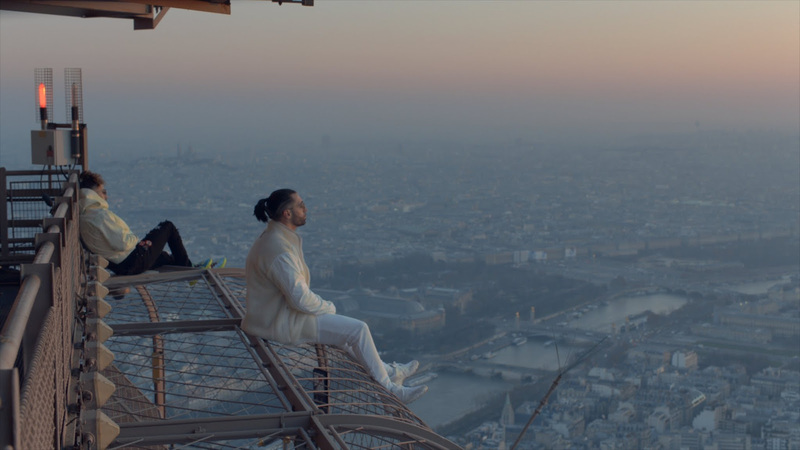 All trap swagger and Gallic style, the ambitious video was shot inside the Eiffel tower and uses some incredible views of the French capital. Every bit as immersive as the cloud rap sound that propels them, the murky production for 'Au DD' is literally placed in the sky as PNL scale the historic tower. 'Deux Frères' will be released on April 5th.